In any given year, sending a team to nationals, a competition between the 32 best squads in the country, is impressive. It is something quite special when a school sends both its men’s and women’s teams to the biggest stage in DIII cross country. The Maroons have done just that. Both the men’s and women’s teams were selected this past Sunday to take part in the NCAA Division III National Championships. Chicago’s teams have been selected to run in the championships twice in the past three years. Based on the NCAA Regionals, 32 teams from both women’s and men’s teams were chosen to run in the National Championships. Within the eight regions, the top two teams automatically qualified for nationals. After 16 teams received automatic qualifying bids, 16 at-large picks remained. Each Chicago squad secured one of these spots. Additionally, the top 56 individuals who were not a part of the automatic qualifying teams were selected. Chicago will not have to go far to compete in the biggest race of the year. On Saturday, November 2, UW-Oshkosh will be hosting the championships at Lake Breeze Golf in Winneconne, WI. The women’s race will start at 11 a.m., followed by the men’s race at 12:30 p.m. The women’s team has made it to nationals for six years in a row. This year, the women were selected at-large after they placed third at the NCAA Midwest Regionals this past Saturday. Last season, the women’s squad impressively finished 12th place in the National Championships. The Maroon men’s squad was an at-large selection as well. It was selected after placing seventh in the NCAA Midwest Regional competition. The men have qualified eight times in school history. Catherine Young, a fourth-year All-American, has one last year to accomplish her goals as a Chicago Maroon. Young has had an outstanding career during her four years on the South Side. She has been named UAA Athlete of the Week five times, earned All-American status, and helped her team win second place in the UAA Championships in 2014. Khia Kurtenbach, who was recently named UAA Athlete of the Week for the second time this year, has also been a consistent standout for the women all fall. She finished third this past weekend at NCAA Regionals, finishing only four seconds behind the winner and racing the fastest time ever recorded in the UAA. At the 2014 nationals, the Johns Hopkins women’s squad defeated MIT and won Johns Hopkins’s third consecutive national championship. This season, the men’s squad also finished every race in the top 38 percent or higher. In 2014, the North Central Illinois men’s cross-country team took home the victory at nationals. This marked its 16th national title in school history. It defeated the defending national champs from St. Olaf. Emory and Wash U join Chicago as UAA teams qualifying in both the men’s and women’s races. 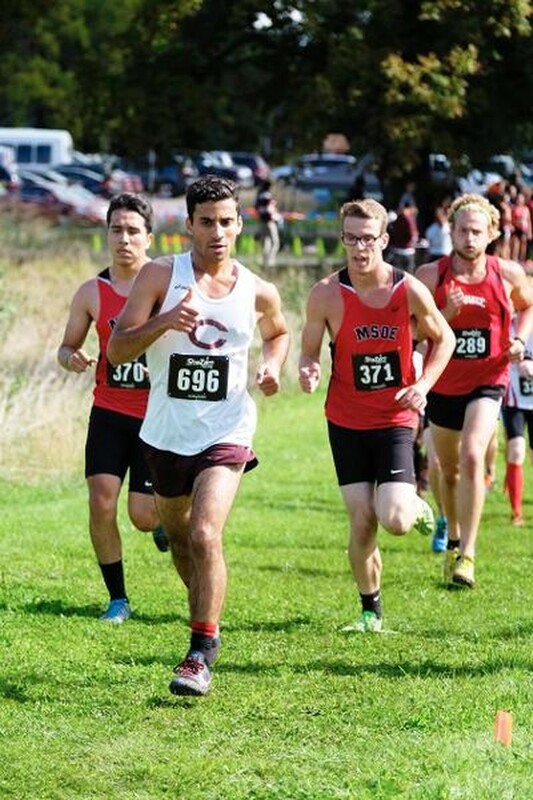 Clearly, the Maroons are ready to run this weekend and are looking to make a statement at the National Championships.